Bradley Hallman will enter the 2019 FLW Tour season with a renewed focus and an eye on qualifying for the Forrest Wood Cup. Three years into his return to top-level competition, Bradley Hallman is ready to take the next step in the process. For him, that means two things � becoming more consistent and finally qualifying for a championship event. 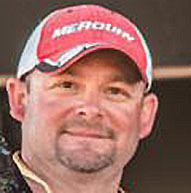 Few questioned whether he could compete when he joined the FLW Tour in 2016 following a four-year stint on the sidelines. 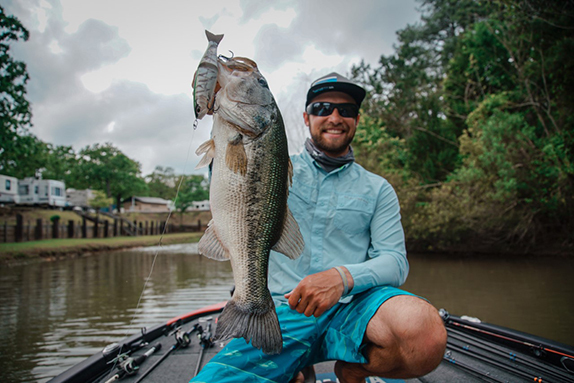 He posted a win in his first FLW Tour event at Lake Okeechobee in February 2016, then won at Lake Lanier earlier this year. 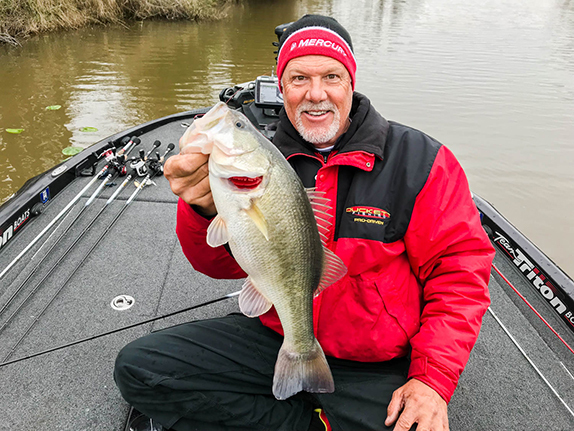 The challenge for the Norman, Okla., angler, though � and this dates back to his Elite Series days from 2006-11 � has been consistency, and he knows that�s what paves the way to marquee events like the Forrest Wood Cup and Bassmaster Classic. In 20 Tour starts, he has as many triple-digit results (nine) as he does money finishes. Four of those duds occurred this season, including one at Okeechobee. His average finish of 75th over the past three years puts him smack in the middle of the pack of an average Tour event. He thinks he can be much better and with all the upheaval occurring at the top level of the sport with anglers shifting leagues � as of Sunday, 20 pros who competed on the FLW Tour in 2018 have announced they�ll be competing elsewhere (Bass Pro Tour or Elite Series) next year � Hallman sees 2019 as a season of supreme opportunity. 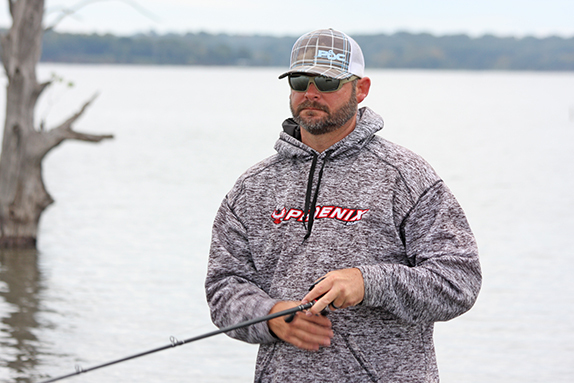 With a schedule that carries as much big-fish potential as any in recent memory, Hallman is stoked to have two of the first four stops fall in his wheelhouse. He also has some history at Lake Hamilton, which will host the 2019 Forrest Wood Cup. �I�m extremely excited any time FLW wants to come to Oklahoma, Texas or Arkansas, so with Rayburn and Grand on there, I love to see that,� he said. When Hallman stepped away from the Elite Series after the 2011 season, he had little desire to get back into the sport at the highest level. He was content going back to work full time in the oil and gas industry and being home to help raise four young children with wife Dawn, who runs a successful law practice. Fishing took a rightful back seat. Like anyone who steps away from something they�re passionate about, though, he eventually started to miss the trappings of the tournament scene � the adrenaline rush of morning blast-offs, the competition aspect, the pattern puzzle. The wins at Okeechobee and Lanier certainly helped to feed that hunger. After qualifying for the Tour through two divisions of the FLW Series in 2015, he set what he felt was an attainable goal � make the Cup. �I don�t think that�s that much to ask for a guy who has my history,� he said. In 2016, he nearly made it happen, but wound up 37th in Angler of the Year points, the first man below the Cup cutoff. In the two years since, he�s not come close. 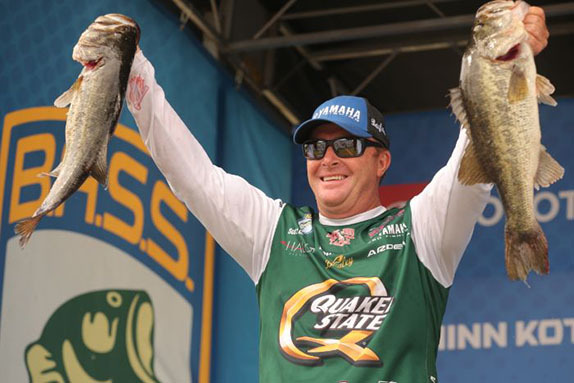 In nine seasons between the Elite Series and FLW Tour, he�s not qualified for a Classic or Cup. As frustrating as it's been having not been part of the two biggest tournaments in the sport, he's not ready to trade in his victories for a spot in the field of either event. At the end of July, Hallman left his job to focus full-time on his fishing career. It wasn�t an easy decision, but one he felt was necessary to make the improvements he needs to make to be successful. The last straw was arriving at Lake St. Clair for the season finale with a boat still loaded with tackle from the Kentucky Lake event. He also plans to be more active with the sponsors he does have and in seeking out new partnerships. The process of correcting the mistakes that lead to triple-digit finishes has been a long one, Hallman says. He hopes now with additional time to devote to preparation, he can avoid the same pitfalls moving forward. He said keeping a glass-half-full mentality through the day and not going off on a bunch of tangents will be key. �I�ve done this for a so long and at the regional level, I don�t go into tournaments worrying or thinking about what check range is,� he noted. �Overall, I do better there, but I feel like I�m just now getting that feeling at the national level. I�m just now getting comfortable pulling into a blueback lake where it took me 7 years to learn how to spell blueback. I need to just stick with my style of fishing and not worry about all the other things we can do. I�m versatile enough where it�s almost a detriment. Greg Hackney � "I've always liked him and I still like him." "Anything that has anything to do with a spinning rod." Larry Bryant � "He was kind of a fishing mentor and a Grand Lake legend. He fished professionally for a couple years." "It's just in my blood. I've loved it forever and it's all I think about. It's almost an addiction."